Takayuki (Taka) joined Tokio Marine in 1989 and assumed current position in July 2016. 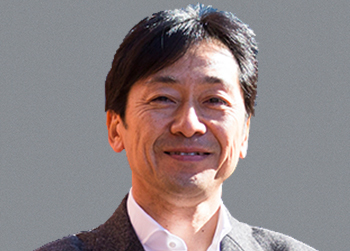 Taka is responsible for setting digital strategy and running innovation labs of Tokio Marine group. He has held various management roles, both at Head Office and with Group companies. In 2004 he was appointed Director & Senior Underwriting Officer for Tokio Millennium Re in Bermuda. In 2007, he returned to Head Office to assume responsibilities for ceded reinsurance of property and casualty lines, while also developing risk/retention policy in line with Group-wide ERM framework. In 2011 he was appointed Chief Executive Officer of Tokio Millennium Re (UK) and moved to London. Taka joined Tokio Marine after graduating from the University of Tokyo with a BA in Economics. He also has an MBA from the University of Chicago, Booth School of Business.